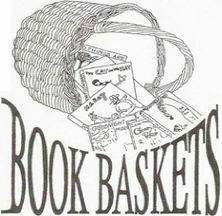 Book Baskets, a local 501(c)(3) nonprofit, was established in 1995 with the goal of encouraging reading through book ownership. For over 20 years we have been deeply committed to giving new or lightly used books to those children in our area who might not otherwise have books of their own. We currently serve over 30 local social service agencies or education programs. On average, we place over 20,000 books per year into the appreciative hands of children from the Charlottesville and Albemarle County area. A small bookplate is placed in the front of each book, allowing the recipient to identify the gift book as his or her own. Ninety-six percent of our funds are used to buy and store new books at great prices, thanks to our fruitful relationships with several wholesalers. In addition, many of our books are “gently used”, generously donated via wicker baskets currently located in 19 local public and private schools.